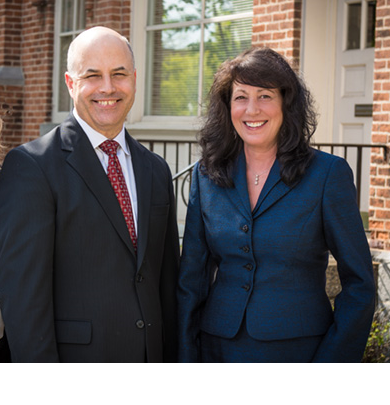 With over 50 years of financial planning and investment experience, The Adirondack Mountain Group adds value to our client relationships by helping to uncover and address the financial issues and concerns that are important to our clients, through our discovery and planning process. Once defined, we work with our clients to address their concerns by introducing, implementing and managing comprehensive investment strategies designed to help them achieve their goals. More importantly, we believe by communicating with our clients on a consistent basis, we are able to offer our assistance whenever they experience a life changing event, no matter what that event might be. We have found being there for our client when they want to talk about something that’s a concern to them is, quite often, the most important job of all. We hope you will invest some time to meet with our group to see if we might be able to be of assistance to you. Paul sponsors and coaches a Challenger Division Team for Saratoga Little League. This program enables boys and girls with physical and intellectual challenges, ages 4-18, or up to age 22 if still enrolled in high school, to enjoy the game of baseball along with the millions of other children who participate in the sport worldwide. Ambassador for the Adirondack Regional Chamber of Commerce. 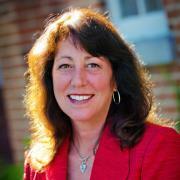 Born and raised in South Glens Falls, Pamela Green is a Morgan Stanley financial-planning veteran. Beginning her career working at the Wall Street office of Shearson American Express more than 3 decades ago, she has witnessed the growth of Morgan Stanley through multiple mergers over the ensuing decades. After gaining invaluable industry experience during her two year tenure in NYC, Pamela relocated to the Glens Falls branch to help her clients achieve their financial goals and objectives. 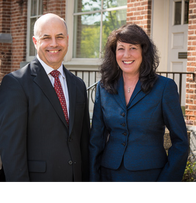 Currently Associate Vice President, Financial Advisor, and Financial Planning Specialist for Morgan Stanley Wealth Management, Pamela and her business Partner, Paul Hebert, formed a team in 2010 now known as the Adirondack Mountain Group. The team provides the full range of financial services designed to meet your goals, helping you preserve and grow your wealth, with access to some of the world’s most seasoned and respected investment professionals and premier trading and execution platform. Pamela is an Ambassador for the Adirondack Regional Chamber of Commerce, promoting the benefits of the membership to business community, and she has received its Ambassador of the Year Award. She is also member to the boards of Tri-County Way and Lower Regional Adirondack Arts Council and recipient of the Glens Falls Kiwanis Club’s Broderick Memorial Awards for Outstanding Service and Kiwanis Advisor to South Glens Falls High School Key Club. 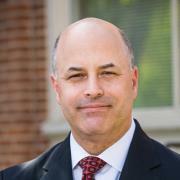 Paul joined the firm in 2006 after working as a financial Advisor at First Niagara Financial Group and Merrill Lynch. In the 19 years he has been in the industry, Paul has focused his efforts on helping his clients attain their financial goals and objectives by introducing, implementing, and managing comprehensive investment strategies driven by a thorough understanding of his client’s needs, garnered through a comprehensive financial planning process. Over the past ten years here at Morgan Stanley, he met and formed a working partnership with Pamela Green, which is now known as the Adirondack Mountain Group at Morgan Stanley. The group provides comprehensive wealth management for clients, including assistance with education, investment, retirement, and estate planning. In his spare time, Paul sponsors and coaches a Challenger Division Team for Saratoga Little League. This program enables boys and girls with physical and intellectual challenges, ages 4-18, or up to 22 if still enrolled in high school, to enjoy the game of baseball along with the millions of other children who participate in the sport worldwide. Originally from Troy, NY, Paul, his wife and their two children reside in Saratoga Springs, NY. 10Morgan Stanley Smith Barney LLC does not accept appointments nor will it act as a trustee but it will provide access to trust services through an appropriate third-party corporate trustee.